All Hosted in UK Datacentres! Alternatively, if pre-paid for the whole year, the hosting comes down to £60. This gives you 2 months Free! We also offer larger solutions, should you require more emails, further webspace or additional databases. 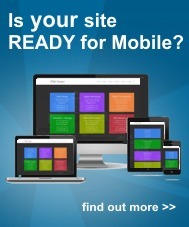 These can be tailored for you and your website. So you want your WordPress Blog / Website hosted in the UK? With up to 5 UK datacentres available our network offers an excellent UK base to deliver your WordPress website content quickly and efficiently. With no limit on your monthly bandwidth, what are you waiting for? Servers used are specifically ready for WordPress and the memory requirements its needs to run. Don’t end up with a host who ‘claims’ to run WordPress for less, only to find you cannot install more than 3 plugins without crashing your site. Some of our clients sites are WordPress sites hosted with us too, view our Portfolio to get an idea of previous work completed. Contact us if you are interested in a WordPress Hosting account with us.